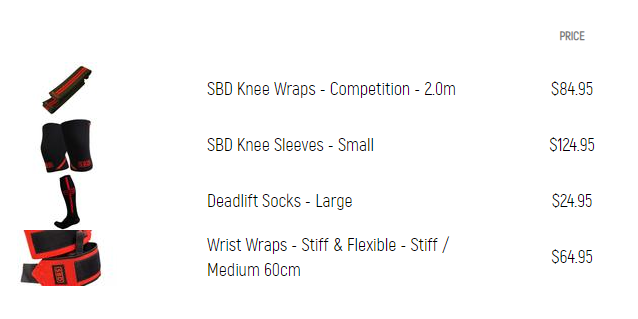 There's a novice power lifting comp in Bundoora next month, do you think it would be worth throwing my hat in the ring? You are only competing against yourself and even if you finish last it's still higher placed than all the knuckleheads who didn't bother getting on the platform. PL is an individual pursuit. Get at it. Hehe have fun with the sleeves. I remember when i bought my mediums (that i still use mind you...) at the end of 2015. Trying to put them was a nightmare being middle of summer. They are super tight to get on again now that summer is back haha. I use soap . Just a little bit on my calves. On comp days i just sit down for a while before i put em on. If i stand around spectating or warmup first, they are fucken almost impossible to pull on. The IPFs new rules suggestion of pulling them off before each attempt would have fucked everyone Hahahaha. Mine are medium. Enjoy the smalls.